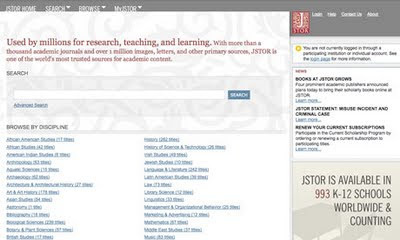 Anyone following academic news of late may have heard about the current prosecution launched against Aaron Swartz for his downloading of nearly 5 million scholarly articles archived online with JSTOR. Swartz has been charged with computer intrusion, fraud and data theft for his actions—charges which have been branded excessive by many academics and copyright critics. On Wednesday the plot thickened, with over 18,000 documents being pulled from the scientific journal Philosophical Transactions of the Royal Society made available through Bittorrent on The Pirate Bay by Gregory Maxwell. Maxwell's actions made freely accessible documents that usually are charged at a rate of between $8 and $19 dollars for access. Maxwell claims his actions were in protest of Swartz’s charges, accompanying his upload with a manifesto stating his intent to “remove even on dollar of ill-gained income from a poisonous industry which act to supress scientific and historic understanding” regardless of the “personal cost” he might suffer. While the ‘stealing is stealing’ argument is one side of the issue in relation to how exactly material was obtained, Swartz and Maxwell’s actions obviously spark interesting debate about free access to archived scholarly material. Swartz prominently supports the free flow of information and access online and in libraries in the open culture movement. As Dan Goodwin points out in an article for The Register, critics of the somewhat epic charges brought against Swartz argue that “many of the documents in JSTOR's collection are probably kept behind its paywall against the authors' will and that there are no valid copyright claims restricting their distribution”. Should access to archived scholarship be free in the digital domain? How far does the "authors’ will" extend? Is prosectuing for downloading to this extent the same as being charged for checking out too many books at the library? For more on Swartz and the charges as covered by the Demand Progress Blog, click here. Any arguments about copyright / what the originaly authors want are irrelevant - the JSTOR etc want to protecting the investment they have made in scanning and making searchable the journals, plus the considerable ongoing costs of running the website. There should be more of this stuff available for free, but who pays for the first digitisation and subsequent upkeep of the enormous dataset? Despite all its promise, the Internet Archive has very little material on it. To be honest $8-$19 per document outside of an institutional agreement seems cheap considering what you're getting. I wouldn’t say the debate about copyright etc is irrelevant. However, considering the costs that go into producing and publishing etc a piece of scholarship, the non-institutional fees aren’t overly horrific, though Maxwell seemed at pains to make that point… Plus of course the manner in which Swartz acquired the info was so sneaky it would seem to tarnish an attempt to make a clean-cut ethical point…(generally I feel sorry for everyone trying to get on with research MIT who were locked out for a few days! ).